This is our elite Gold Panning kit. Comes with a 14 keene eng. Plastic pan with ribs. 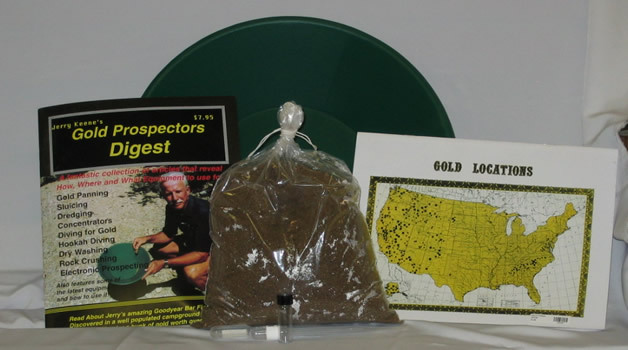 One gold panning book, one bag of our gold dirt and gold vial with suction tweezer.